Ready to do some business tax planning? It is never too early to start. The key to minimizing business taxes is to think balance. That is, balance taxes with your other business goals and consider different types of taxes so that you save on your total tax bill. Some tax planners think only of business income taxes, but there are other taxes businesses pay such as personal taxes. Here are some examples of tax balancing. Joe's small sole proprietorship business is making a profit this year and his tax planner has suggested that he form a corporation. However, if he incorporates, he will need to become an employee. As an employee, he is personally responsible for half of the FICA taxes (Social Security and Medicare costs). He needs to look at all taxes he pays personally and through his business to see what might be the best business type for him. Joe wants to move his business to Florida to take advantage of what he thinks are lower taxes. He knows that Florida has no state income tax, which he considers a big tax saving. But some costs are higher in Florida. Joe might save on his business state income tax but he will pay more for business vehicles in Florida because of higher insurance costs. Joe may also have to pay more for a business license and for other licenses and permits. 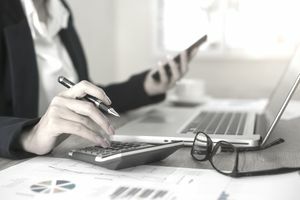 Joe and his tax advisor are considering moving some of his business income to next year, but he must first consider his accounting system (cash versus accrual) and the possibility of higher or lower taxes next year before he makes that decision. Business income taxes, depending on your business legal form. State and local income taxes, depending on your business location. Business licenses and permits, depending on your business location and business type. Employment taxes. While most employment taxes are federal, states may have different employment tax costs. Self-employment taxes can be higher or lower, depending on your total business income. The newest tax law changes from the 2018 Tax Cuts and Jobs Act will affect your business planning. The new law includes a lower flat corporate income tax rate and lower rates for individuals. But these lower rates are offset by higher standard deductions and elimination of the personal exemption. This is an effort at simplification, but it eliminates or reduces the effects of tax shields such as mortgage interest. Other business and personal tax deductions have been reduced or eliminated. A possible benefit to small businesses that are not corporations may be a 20 percent tax cut on business net income in addition to typical business deductions. Check if this possible deduction will benefit your small business. Read more about the changes in the Trump Tax Plan and how they might affect any tax shields you are considering. Well-organized business tax records are important to minimize taxes. If you have a record of all business expenses (including small items like petty cash), you can add them to your business tax form and reduce your profit for the year. Having good records is most important in accounting for travel, meals, and entertainment expenses. Without good records, you risk being denied the deductions if your business gets audited. Disclaimer: The information in this article and on this site is not intended as tax or legal advice, but as general information. Federal, state, and local taxes and regulations change often, and every business is unique. Before you do any tax planning or make changes to save on taxes, consult your tax professional and other business advisors.